A-564 has been proven to be an excellent sealing silicone with extremely high adhesion properties. 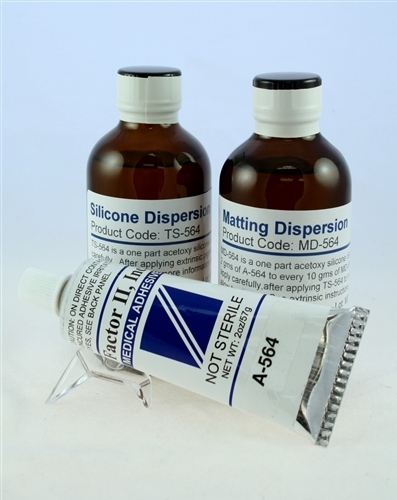 This one part acetoxy silicone elastomer has a lower viscosity than the typical acetoxy systems on the market. Low viscosity, low durometer of 28, high tear of 100 ppi. 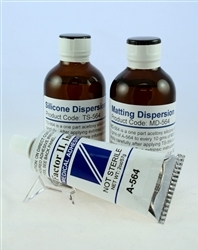 The A-564 is translucent and possesses elevated cohesive properties, bonding silicone to silicone. The TS-564 is a diluted version of the A-564 this creates a very tenacious sealant, which is being applied over extrinsic painting this however may create a glossy surface which is typically not desired. Lastly the MD-564 is a final wash to eliminate the gloss finish to the appliance.